. 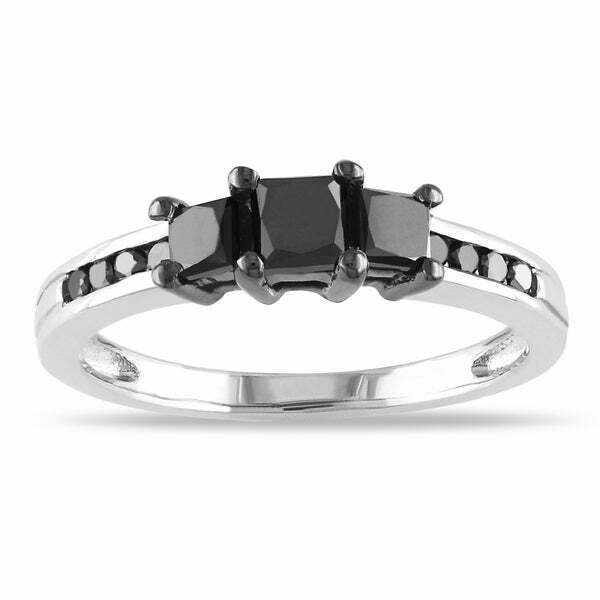 - 0.06 CT Diamond TW And 1/4 CT TGW Created White Sa This captivating ring features a round-cut created white sapphire center stone accented by 12 round white diamonds set in sterling silver. 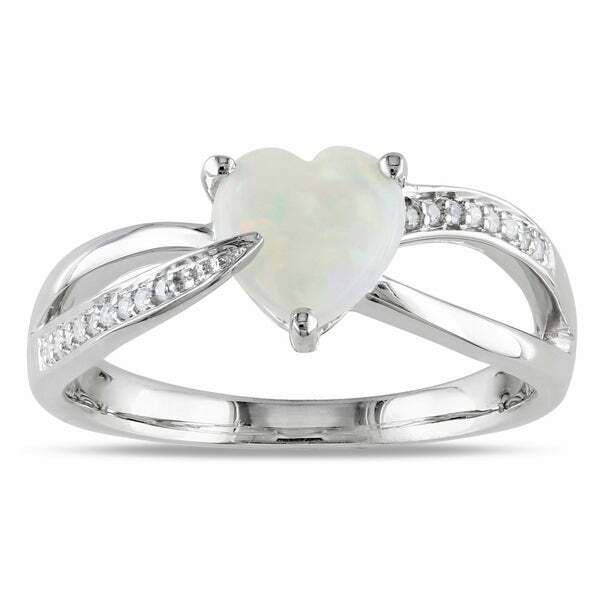 This beautiful jewelry is enhanced with a high polish finish.
. - Sofia B 1/5 CT TW White Opal Sterling Silver Fashi This pretty cocktail ring features an opal center stone flanked by round white diamonds. 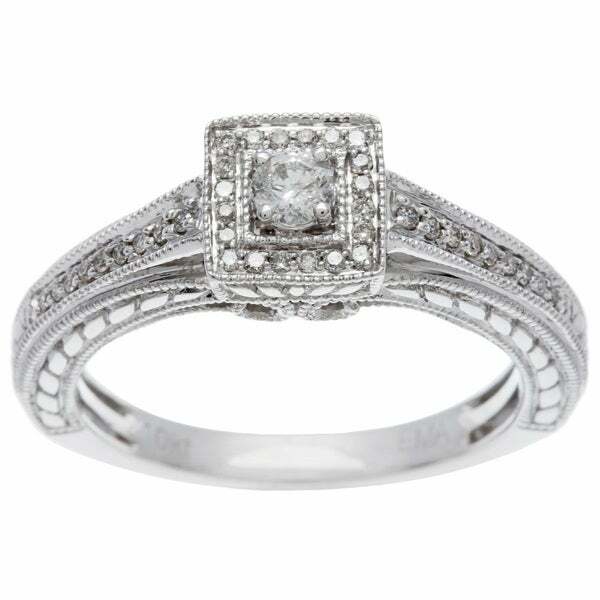 This gorgeous ring is set in sterling silver and is enhanced with a milgrain finish.
. - Julie Leah 1/3 CT TW Diamond Sterling Silver Brida This shimmering bridal set ring from features four princess-cut white diamond center stones and round white diamond side stones set in sterling silver. This delightful ring is enhanced with a high polish finish.
. - 1/4 CT Diamond TW 10K Yellow Gold Fashion Ring This exceptional three-stone ring features a round white diamond center stone surrounded by white diamond side stones. 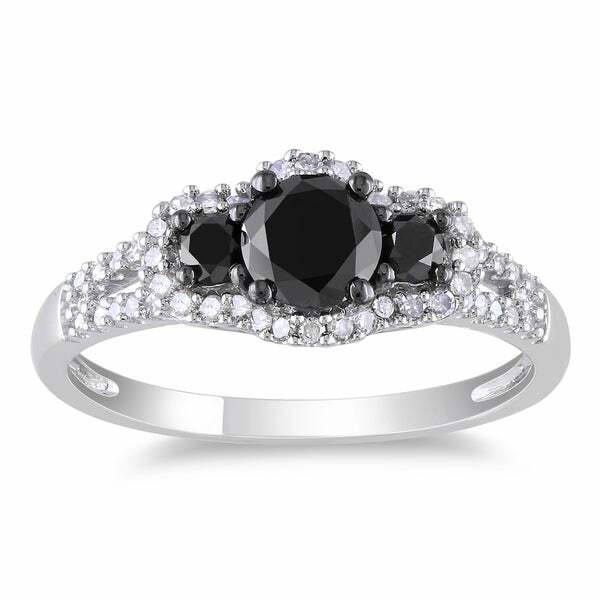 This shimmering ring is crafted of 10-karat yellow gold and enhanced with a miligrain finish.
. - 1/3 CT Black Diamond TW 10K White Gold and Black R This unique designed bridal ring set features a round black diamond center stone with round black diamond side stones set in 10-karat white gold. The band is enhanced with milgrain detailing.
. - Sofia B 1 2/5 CT TW Aquamarine 10K White Gold Fash This fancy cocktail ring features a cushion-cut aquamarine in the center and round white diamond side stones set in 10-karat white gold. 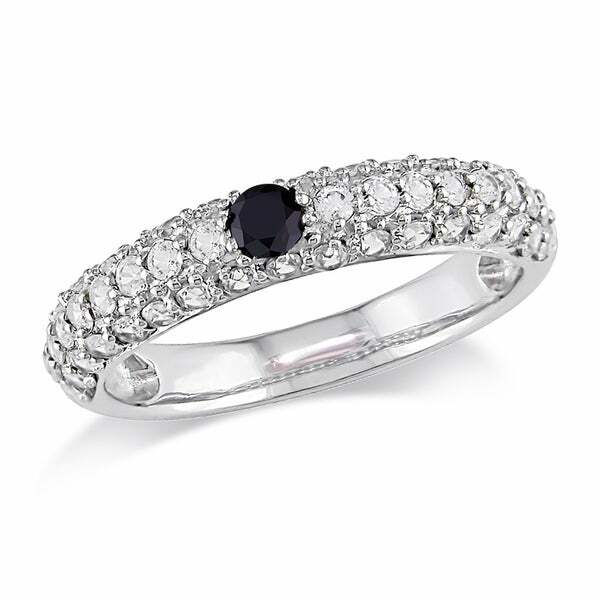 This attractive ring is enhanced with a high polish finish.
. - 1/6 CT Diamond TW And 5/8 CT TGW Sapphire 14K Whit This fantastic ring features an oval-cut sapphire center stone and round white diamond side stones set in 14-karat white gold. 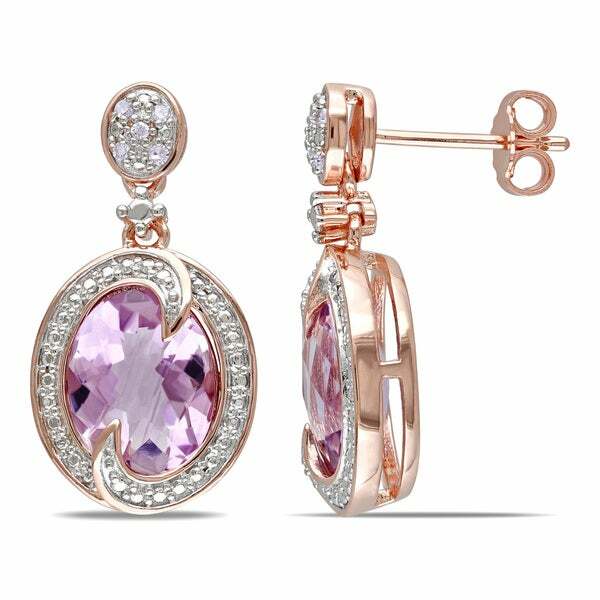 The beautiful one-of-a-kind ring is enhanced with a high polish finish.
. - 1/6 CT Diamond TW And 5/8 CT TGW Pink Sapphire 14K This charming ring features an oval-cut pink sapphire center stone and round white diamonds side stones set in 14-karat white gold. 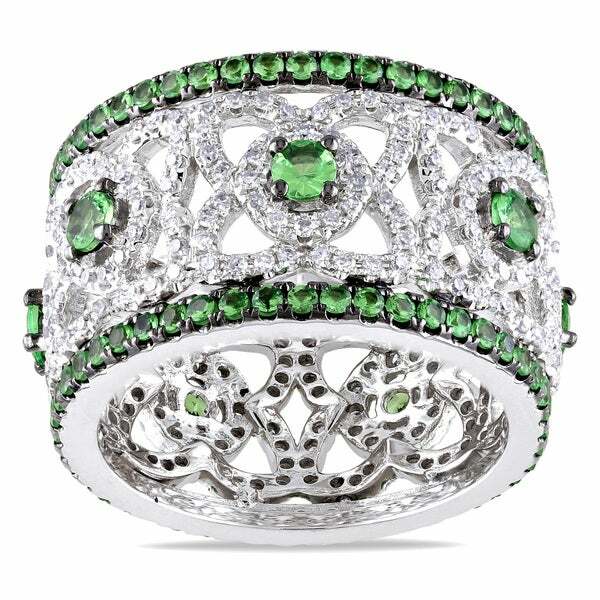 The beautiful ring is enhanced with a high polish finish.
. - Sofia B 1 1/4 CT TW Lab-Created Emerald 10K White This marvelous ring features a round-cut created emerald center stone adorned with round white diamonds set in 10-karat white gold. 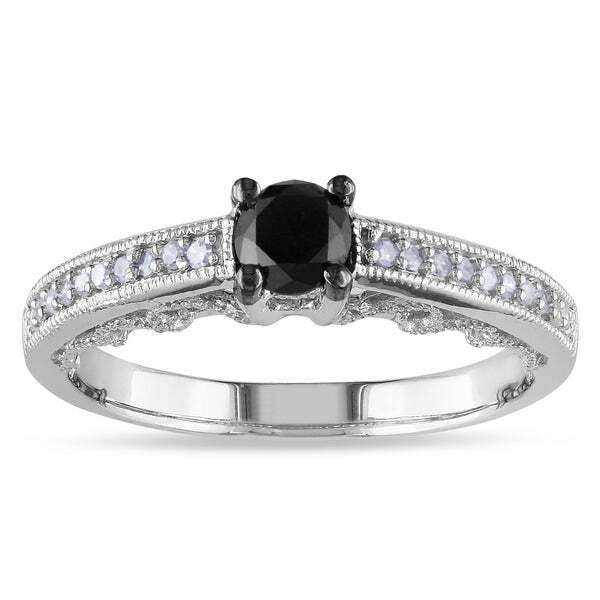 This pretty ring is enhanced with a high polish finish.
. - Julie Leah 1 1/4 CT TW Black and White Diamond 10K This fantastic ring features a black diamond center stone and round white diamond side stones set in 10-karat white gold. This amazing ring is enhanced with a high polish finish.
. - 1/2 CT Diamond TW 10K White Gold Anniversary Ring This marvelous ring features a round white diamond center stone and round diamond side stones set in 10-karat white gold. The beautiful ring is enhanced with a high polish finish.
. - 1/2 CT Blue and White Diamond 14K White Gold Flowe This hot floral necklace from our Sunrise Color Diamonds Collection is a beautifully bohemian accent. 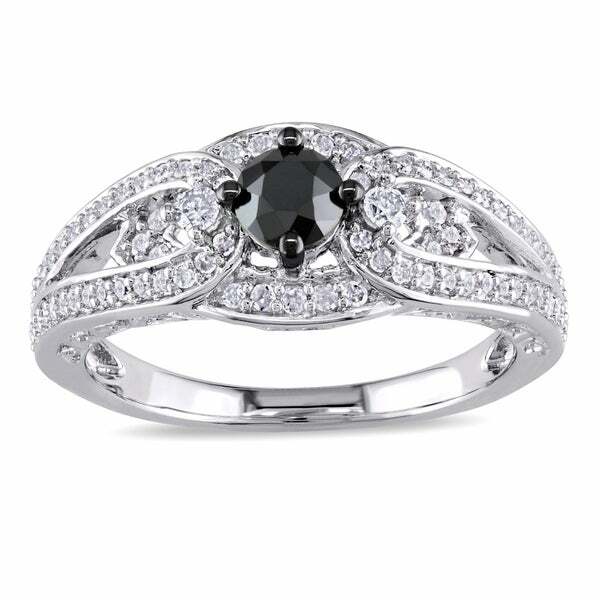 Deep round cut enhanced blue diamonds sparkle with fiery diamond accent stones totaling 1/2 carat set in shiny 14K white gold.
. - Julie Leah 1/2 CT TW Diamond 10K White Gold Halo E This beautiful halo ring features a round white diamond center and side stones set in 10-karat white gold. 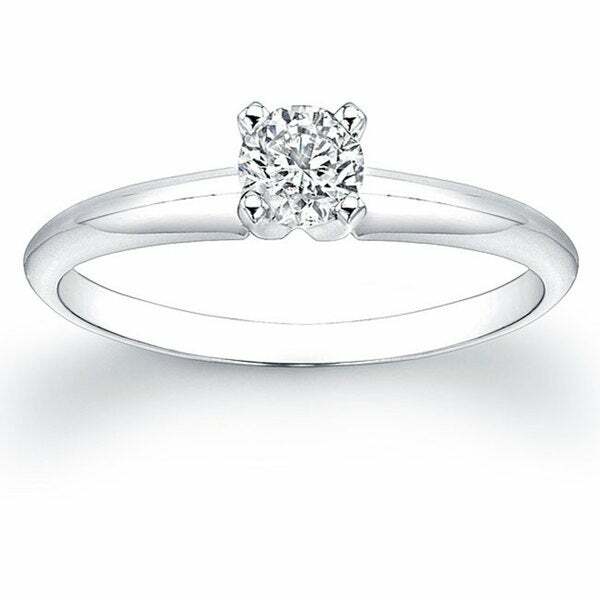 This beautiful ring is enhanced with a miligrain finish.
. - 1/2 CT TDW Diamond 14K White Gold Modern Bridal Ri This beautiful bridal ring is crafted of 14K Gold with high rhodium finish. 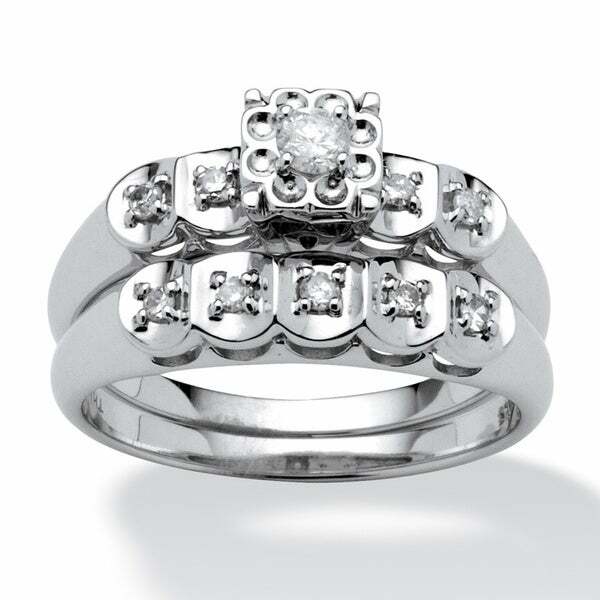 It consists of fifty-six white diamonds perfectly prong set enhancing the nearly 1/4cttw center stone.
. - Julie Leah 1/3 CT TW Diamond 10K Polished White Go This stunning bridal ring set features a round white diamond center stone and round white diamond side stones set in 10-karat white gold. 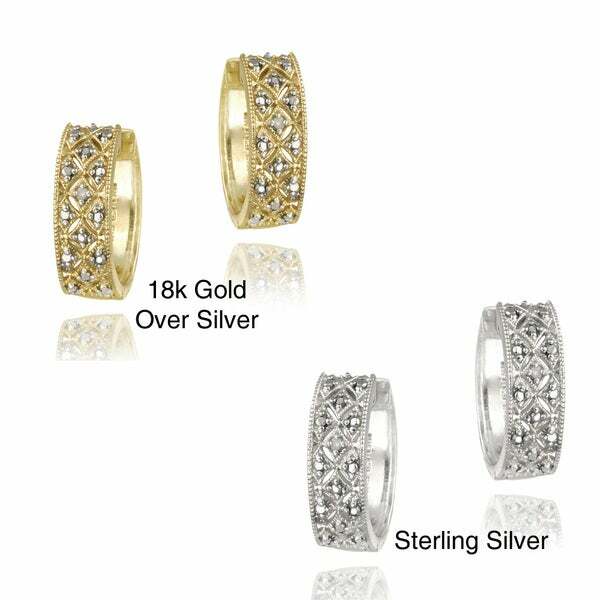 These lovely rings are enhanced with a high polish finish.
. - 1/2 CT TDW Diamond 14K White Gold Modern Bridal Ri This beautiful bridal ring is crafted of 14K Gold with high rhodium finish. It consists of Twenty-Nine white diamonds perfectly prong set enhancing the nearly 1/4cttw center stone.
. - 1/2 CT Yellow and White Diamond 14K White Gold Flo Wear this hip necklace from our Sunrise Color Diamonds Collection to unleash your inner glamour girl. 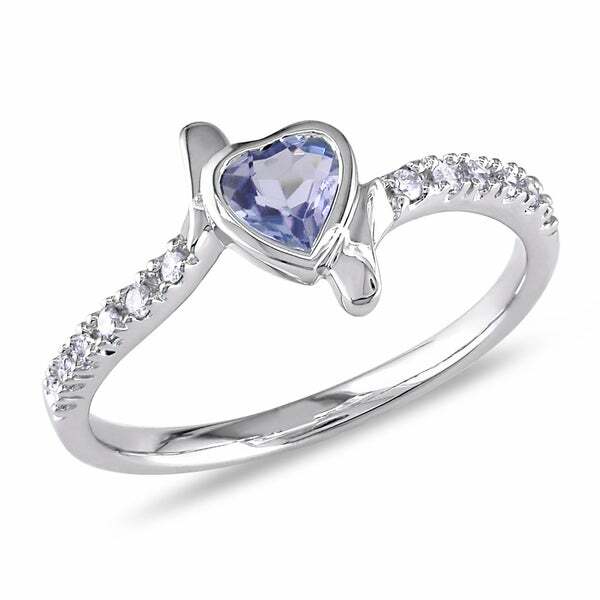 Rich round cut enhanced canary diamonds and icy diamond accent stones totaling 1/2 carat are set in cool 14K white gold.
. - 1/2 CT Diamond TW and 5/8CT TGW Pink Sapphire 14K This graceful ring features a round-cut pink sapphire center stone. 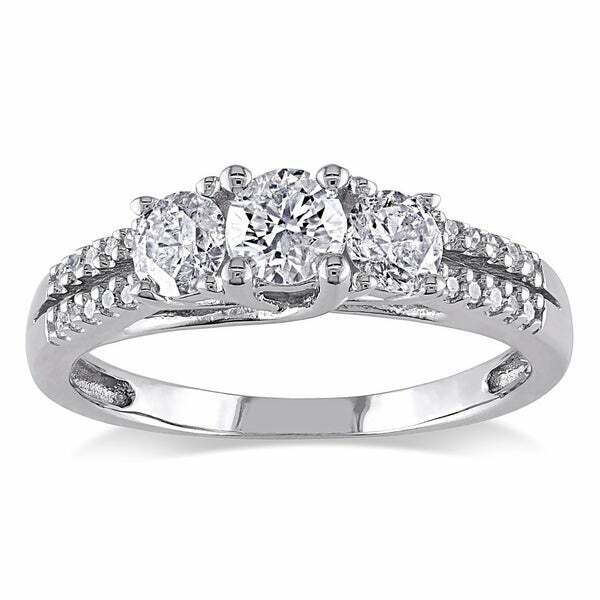 This ring is enhanced with round diamonds set in 14-karat white gold.
. - 1/2 CT TDW Diamond 14K White Gold Modern Bridal Ri This beautiful bridal ring is crafted of 14K Gold with high rhodium finish. 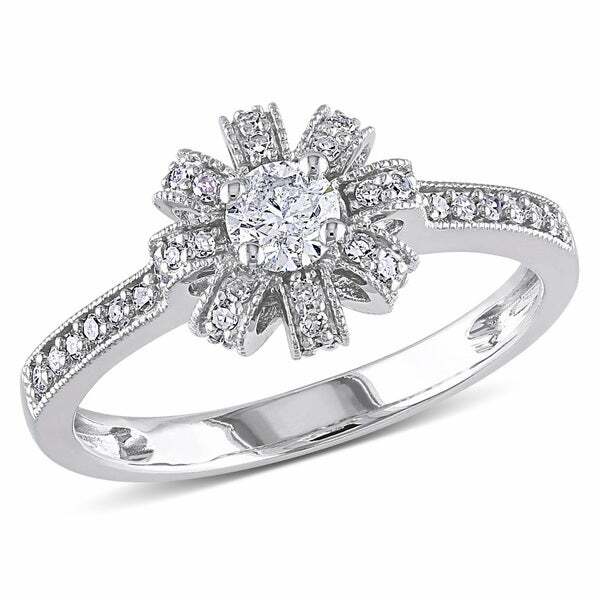 It consists of sixty-two white diamonds perfectly prong set enhancing the nearly 1/4cttw center stone.
. - 1 CT TDW Diamond 14K White Gold Modern Bridal Ring This beautiful bridal ring is crafted of 14K Gold with high rhodium finish. 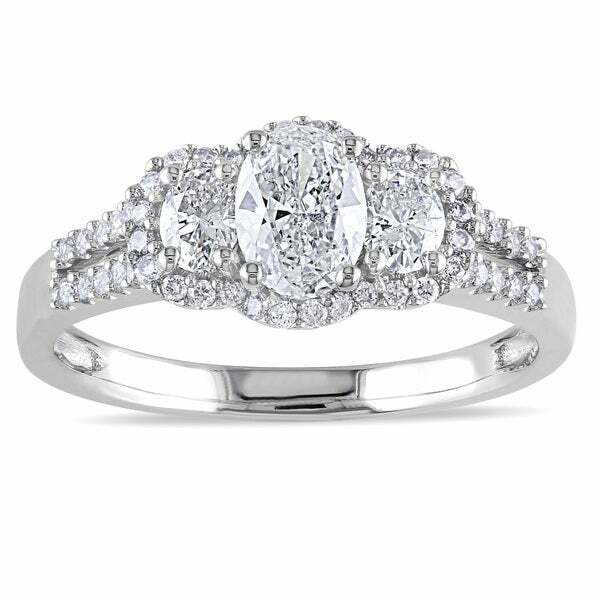 It consists of Fifty-Four white diamonds perfectly prong set enhancing the nearly 1/4cttw center stone.
. - Julie Leah 3/4 CT TW Diamond 10K White Gold Halo-S This classical ring features round white diamond center and side stones set in 1-karat white gold. 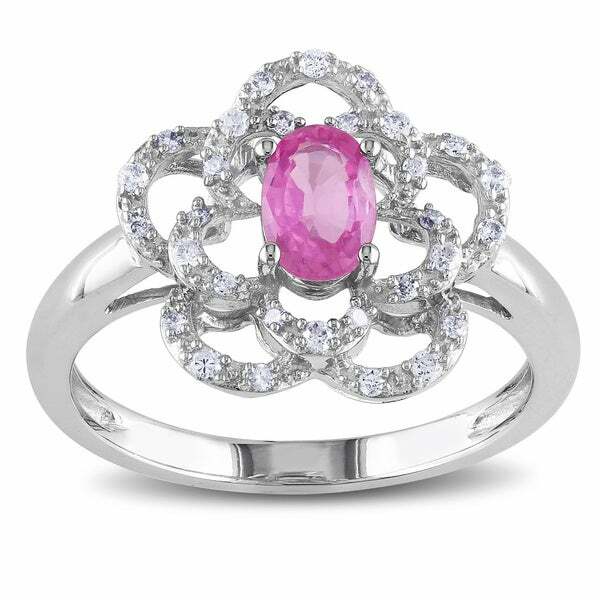 This beautiful ring is enhanced with a high polish finish.
. - 1/2 CT TW Princess and Round Diamond 14K White Gol This charming ring features an oval-cut pink sapphire center stone and round white diamonds side stones set in 14-karat white gold. 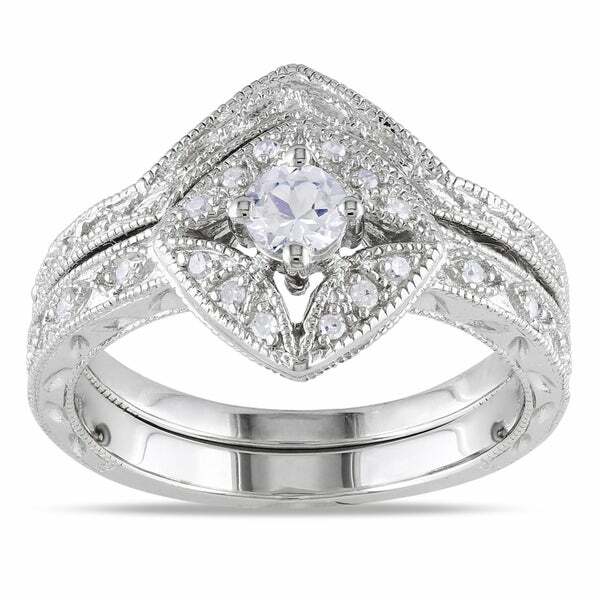 The beautiful ring is enhanced with a high polish finish.
. - Julie Leah 1 1/5 CT TW Diamond 10K White Gold Brid This wonderful bridal ring set features a round-cut white diamond center stone and round white diamond side stones. 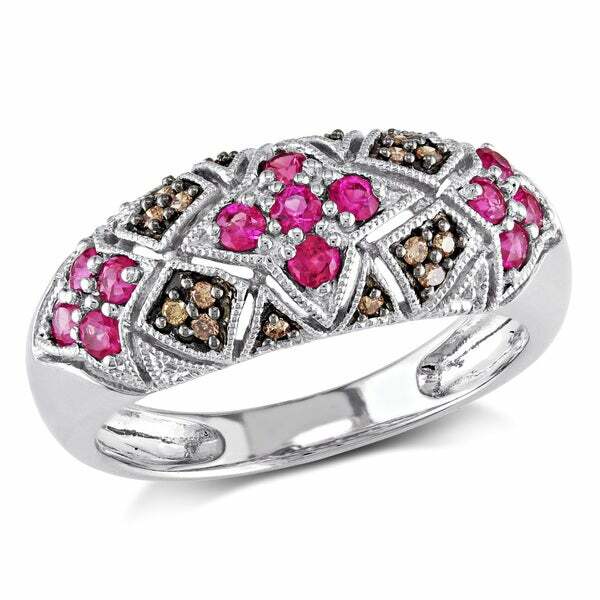 The rings are crafted of fine 10-karat white gold and enhanced with a high polish finish.
. - 3/8 CT TDW Diamond, 1 1/3 CT TGW Pink Toumaline an This lovely ring features an octagon-cut pink tourmaline center stone surrounded by round-cut pink sapphires and white diamond side stones set in 14-karat white gold. 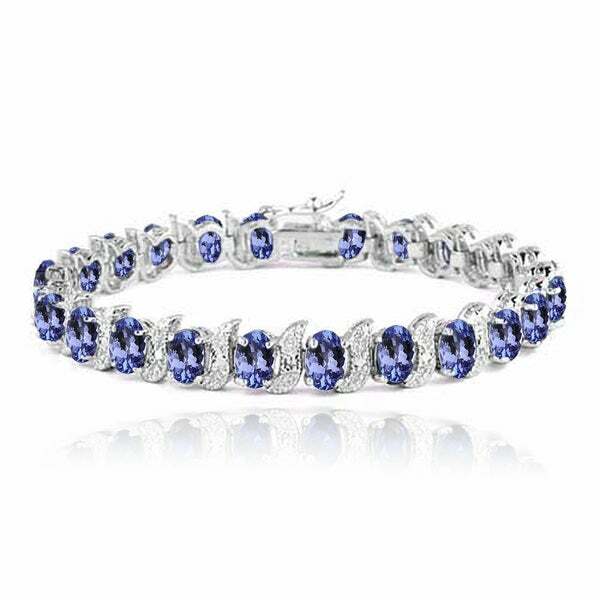 This elegant ring is enhanced with a high polish finish.
. - Julie Leah 1 CT TW Blue and White Diamond 14K Whit This charming engagement ring features a princess-cut blue diamond center stone and round white diamond side stones set in 14-karat white gold. 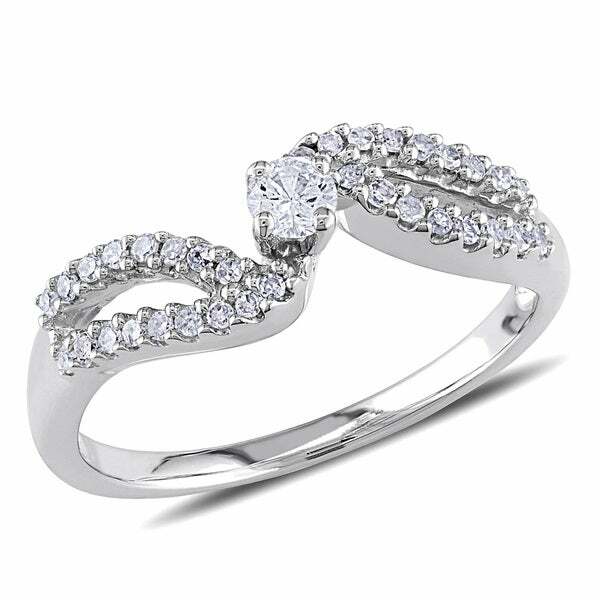 This pleasant looking ring is enhanced with a miligrain finish.
. - Julie Leah 1 CT TW Diamond 10K White Gold 3-Stone This brilliant three stone ring features round white diamonds set in 1-karat white gold. This beautiful ring is enhanced with a miligrain finish.
. - 1 CT TDW Diamond 14K White Gold Engagement Ring This beautiful ring features a round white diamond center stone and round diamond side stones. 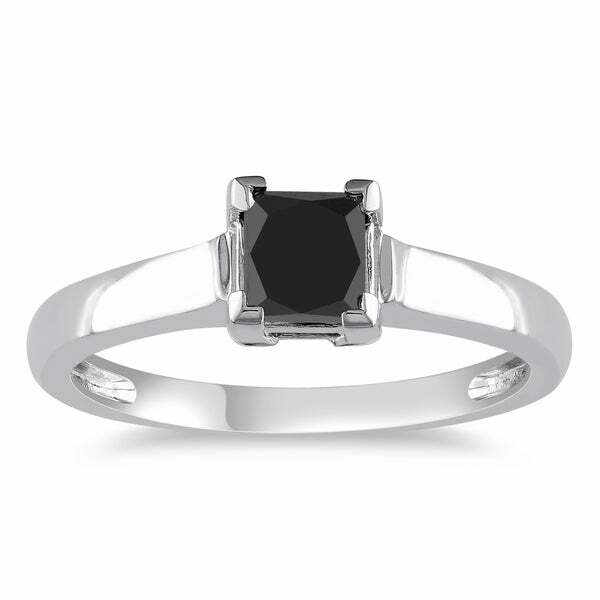 This attractive ring is crafted of 14-karat white gold and enhanced with a high polish finish.
. - 1 CT TDW Diamond 14K White Gold Modern Bridal Ring This beautiful bridal ring is crafted of 14K Gold with high rhodium finish. 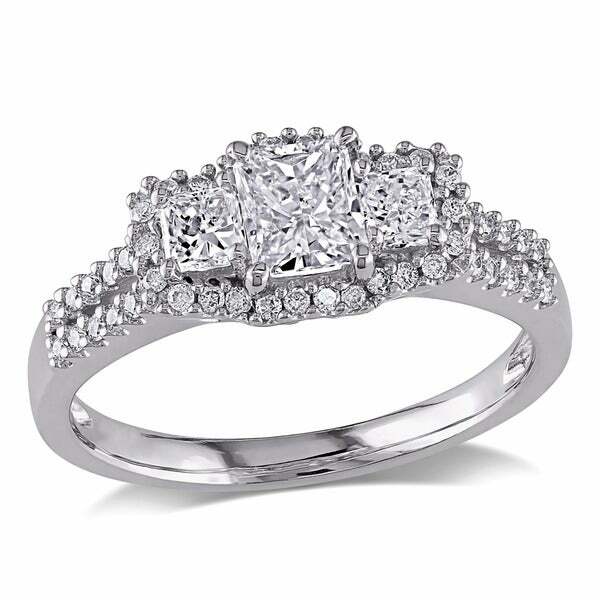 It consists of Sixty-one white diamonds perfectly prong set enhancing the 3/8 cttw center stone.
. - 1 2/5 CT TDW Round and Princess-Cut Diamond 14K Wh This brilliant ring features a princess-cut white diamond center stone and round white diamond side stones. 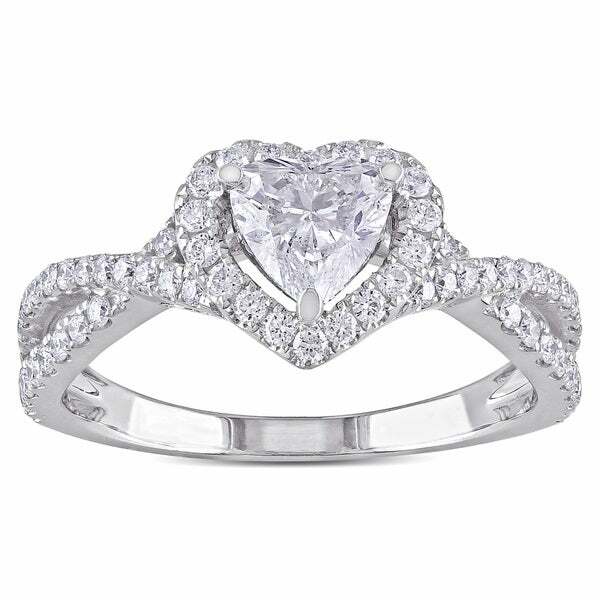 This charming ring is crafted of 14-karat white gold and enhanced with a high polish finish.
. - 1 CT TDW Diamond 14K White Gold Modern Bridal Ring This beautiful bridal ring is crafted of 14K Gold with high rhodium finish. It consists of Fifty-Six white diamonds perfectly prong set enhancing the 3/8cttw center stone.
. - 1 CT TDW Diamond 14K White Gold Engagement Ring This lovely ring features a brilliant-cut white diamond center stone encircled by a halo of lustrous white diamond side stones. 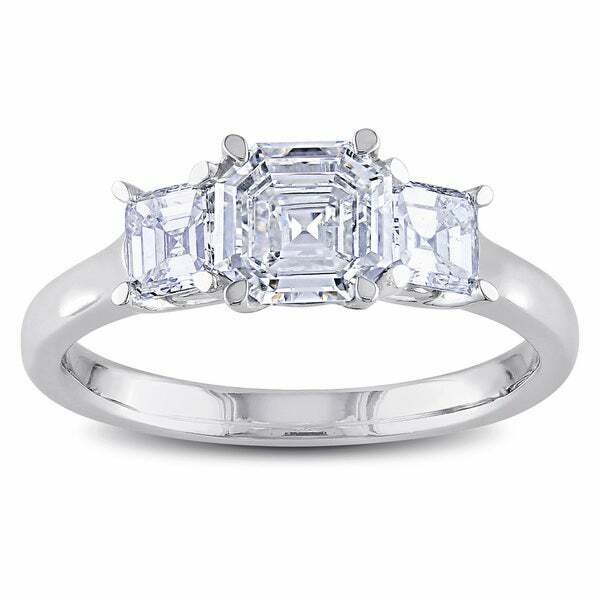 This shimmering ring is crafted of 14-karat white gold and is enhanced with a high polish finish.
. - Julie Leah 1 1/2 CT TW Diamond 14K Polished White This amazing engagement ring features an emerald-cut diamond center stone with tapers and round diamond side stones set in 14-karat white gold. 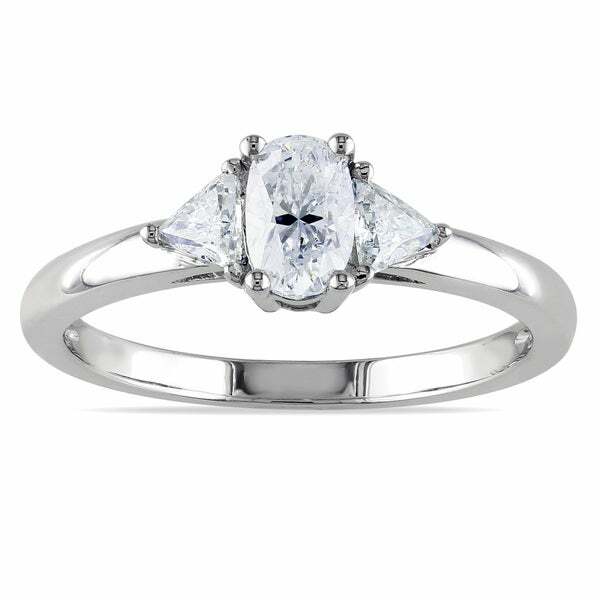 This amazing ring is enhanced with a high polish finish.
. - 3/4 CT TDW Oval and Trillion Diamond 14K White Gol This classic engagement ring features an oval-cut white diamond center stone and trillion-cut diamond side stones. 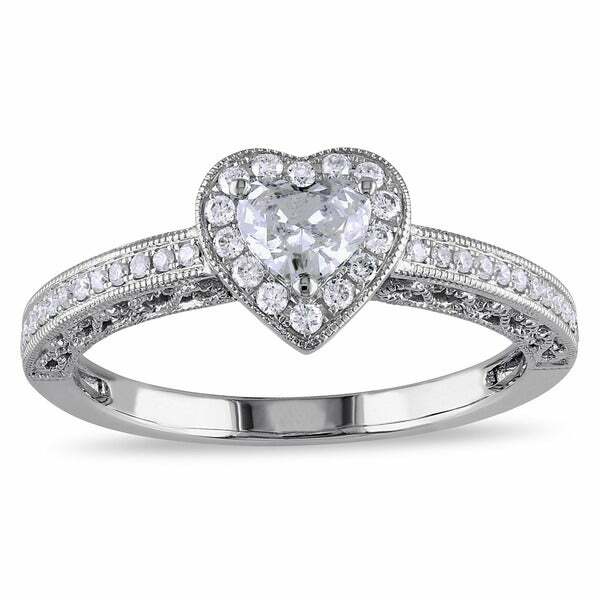 This beautiful ring is set in 14-karat white gold and is enhanced with a high polish finish.
. - 1 CT TDW Radiant and Round Diamond 14K White Gold This marvelous engagement ring features a radiant-cut white diamond center stone and round white diamond side stones set in 14-karat white gold. The beautiful one-of-a-kind ring is enhanced with a high polish finish.
. - 3/4 CT TDW Diamond and 4 1/10 CT TGW Aquamarine 14 This wonderful ring features an octagon-cut aquamarine center stone and round white diamond side stones set in 14-karat white gold. This marvelous halo cocktail ring is enhanced with a high polish finish.
. - 1 CT Oval and Round Diamond TW 14K White Gold Fash This marvelous engagement ring features three oval-cut white diamonds with framing round diamond side stones set in 14-karat white gold. 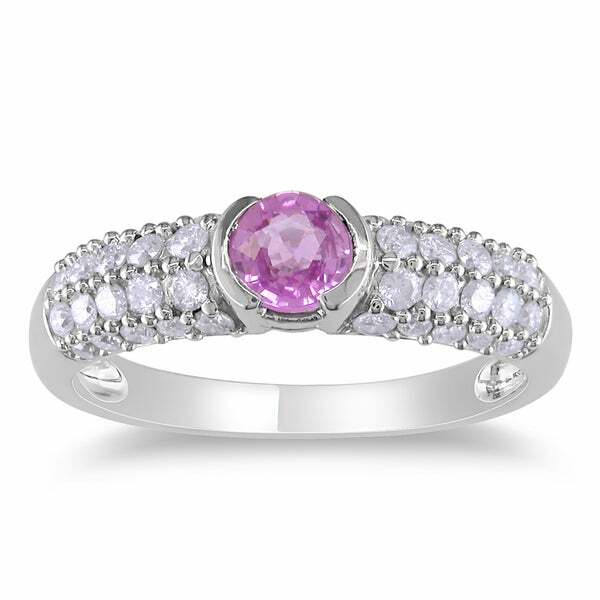 The beautiful ring is enhanced with a high polish finish.
. - 1 CT Diamond TW And 0.06 CT TGW Pink Sapphire 14K This extraordinary ring features a round white diamond center stone with diamond and pink sapphire side stones set in 14-karat white gold. 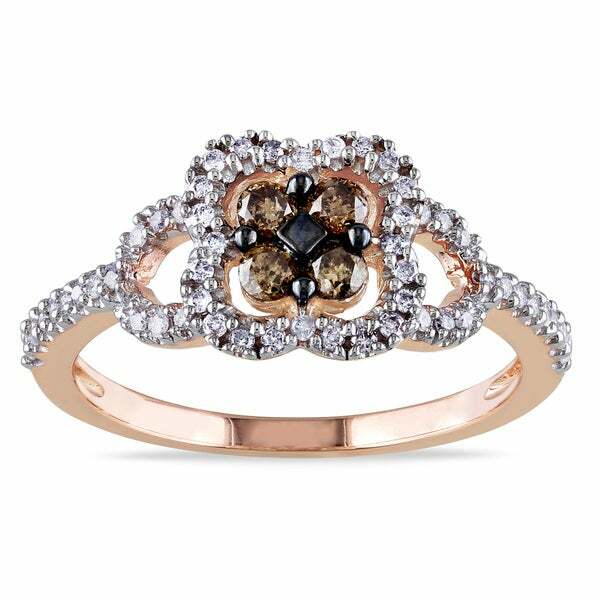 The beautiful ring is enhanced with a textured finish.
. - 1 1/4 CT TDW Brown and White Diamond 18 CT TGW Cit This classic ring features a fancy-cut citrine center stone with round-cut brown and white diamond side stones set in 14-karat white gold. 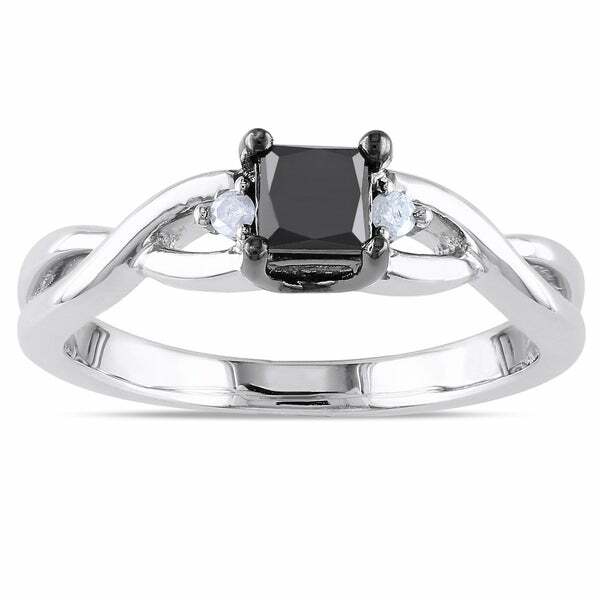 This cocktail ring is enhanced with a high polish finish. 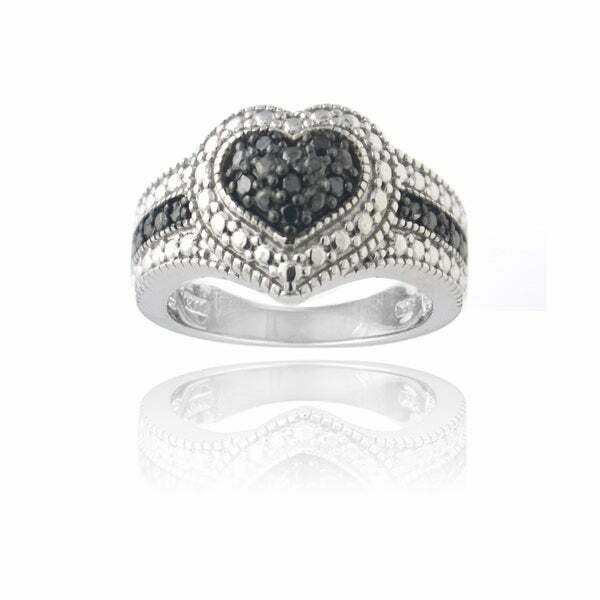 3077675 - Miadora Signature Collection 14k White Gold 1ct TD This item comes with a gift box. This marvelous engagement ring features three oval-cut white diamonds with framing round diamond side stones set in 14-karat white gold. 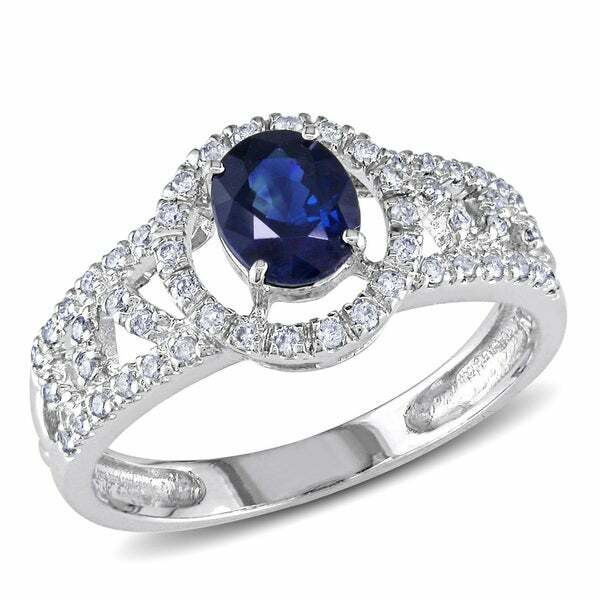 The beautiful ring is enhanced with a high polish finish.
. - 2/5 CT TDW Diamonds and 3/4 CT TGW Blue Sapphire 1 This stunning elegant ring features a round diamond center stone surrounded by halo of round diamonds and round-cut blue sapphires set in 18-karat white gold. This dazzling ring is enhanced with a high polish finish.
. - 1 CT TW Round and Trapezoid Diamond 14K White Gold This classic and timeless ring features a round white diamond center stone and trapezoid-cut white diamond side stones set in 14-karat white gold. 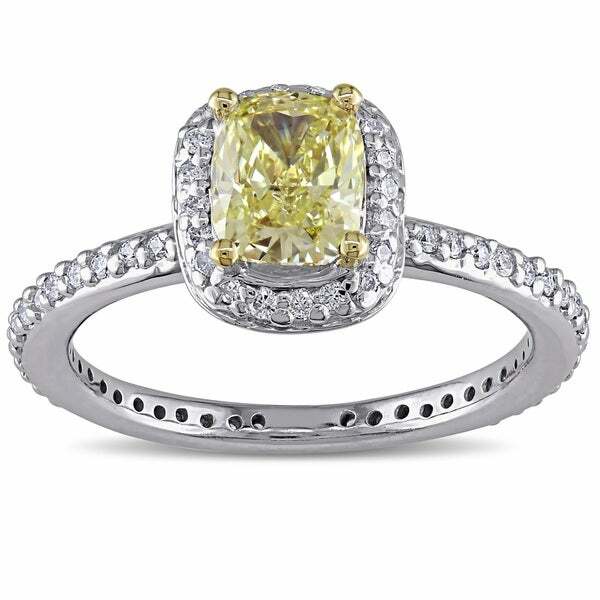 The beautiful ring is enhanced with a high polish finish.
. - Julie Leah 1 CT TW Yellow and White Diamond 14K Wh This gorgeous ring shows class and sophistication! 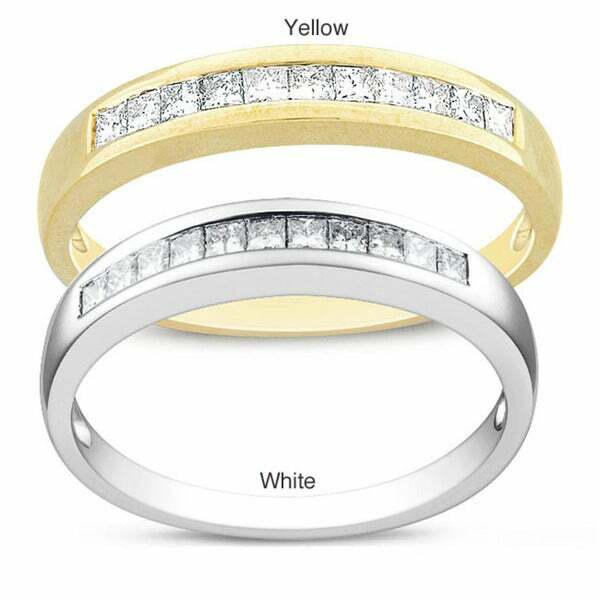 Featuring an oval-cut natural yellow diamond center stone the ring design is further enhanced with a spiral of micro set white diamonds. 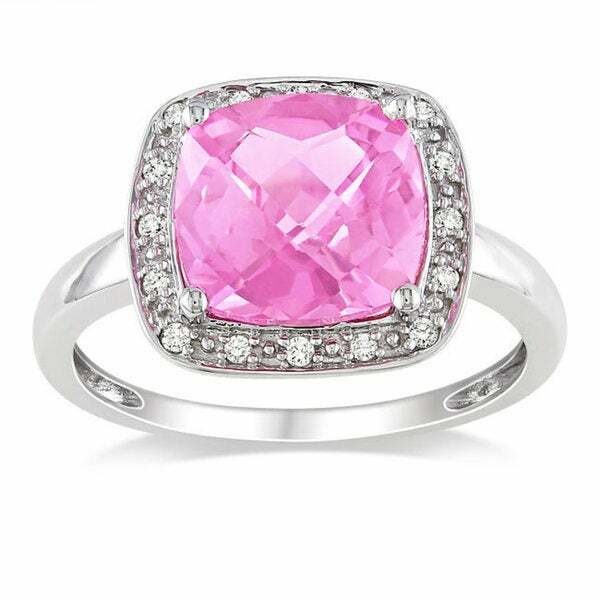 Crafted of 14-karat polished white gold.
. - 1/2 CT TDW Diamond and 4 1/5 CT TGW Pink Toumaline This elegant ring features an oval-cut pink tourmaline center stone surrounded by a double halo of brilliant-cut white diamond side stones set in 14-karat white gold. This shimmering ring is enhanced with a high polish finish.
. - 1 2/5 CT TDW Brown and White Diamond 18K Two-Tone This gorgeous cocktail ring features a round-cut light brown diamond center stone and round white diamond side stones. Set in 18-karat two-tone gold this dazzling ring is enhanced with a high polish finish.
. - 1 1/5 CT TDW Cushion-Cut Diamond 14K White Gold En This magnificent engagement ring features a cushion-cut white diamond center stone and round diamonds side stones. Set in 14-karat white gold this beautiful one-of-a-kind ring is enhanced with a high polish finish.
. - 1 1/3 CT TDW Brown and White Diamond 8 1/10 CT TGW This luxurious cocktail ring features a round-cut Ethiopian Opal center stone surrounded with round-cut brown and white diamond side stones set in 14-karat yellow gold. 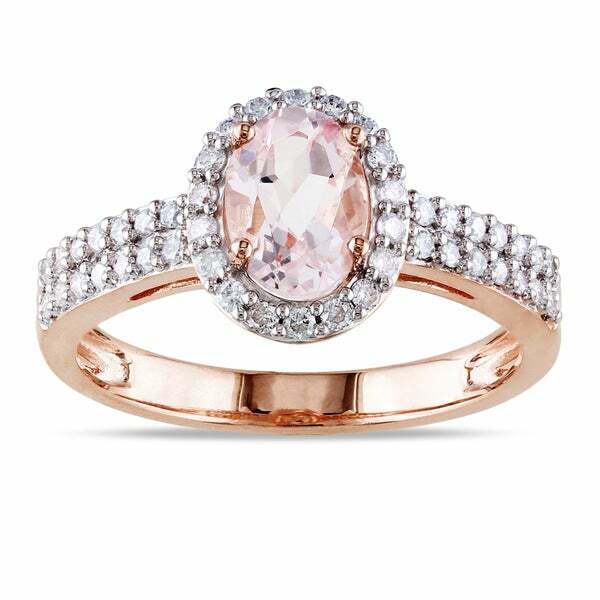 This marvelous ring is enhanced with a high polish finish.
. - 7/8 CT TDW Diamond and 13 3/4 CT TGW Morganite 14K This amazing cocktail ring features a pear-cut morganite center stone and 140 round diamond side stones set in 14-karat rose gold. 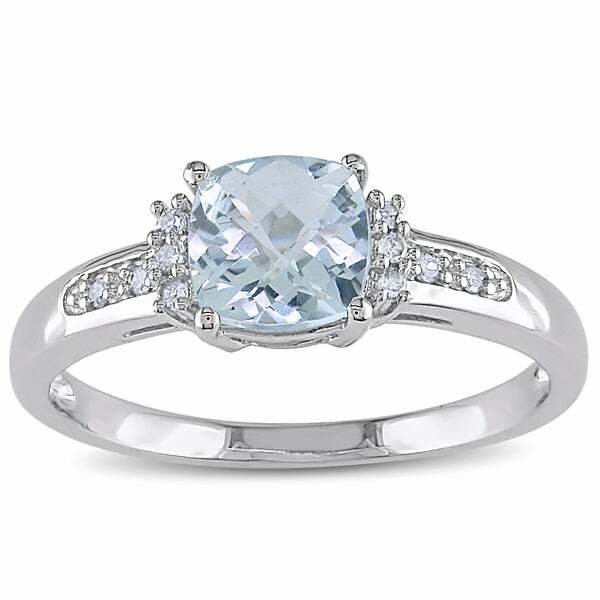 This beautiful ring is enhanced with a high polish finish.
. - 1 CT TDW Diamond and 8 3/5 CT TGW Aquamarine 14K W This amazing cocktail ring features a cushion-cut aquamarine center stone and 186 round diamond side stones set in 14-karat white gold. This fantastic ring is enhanced with a high polish finish.
. - 1 3/8 CT TDW Fancy Yellow and White Diamond 14K Wh This elegant one-of-a-kind cocktail ring features a cushion-cut yellow diamond center stone and round white diamond side stones set in 14-karat two-tone gold. This delightful ring is enhanced with a high polish finish.
. - 2 CT TDW Diamond 14K Two-Tone Gold Engagement Ring This lovely one of a kind double halo ring features a cushion-cut fancy yellow diamond center stone and 96 round white diamond side stones set in 14-karat two-tone gold. This glistening ring is enhanced with a high polish finish.
. - 1.45 CT TDW 14K White Gold Engagement Ring, IGL Ce This delightful one-of-a-kind ring features a round white diamond center stone and round diamond side stones set in 14-karat white gold. This stunning ring is enhanced with a high polish finish.
. - 1 3/4 CT TDW Diamond and 18 7/8 CT TGW Morganite 1 This stunning one of a kind cocktail ring features a round-cut morganite center stone and round white diamond side stones set in 14-karat white gold. 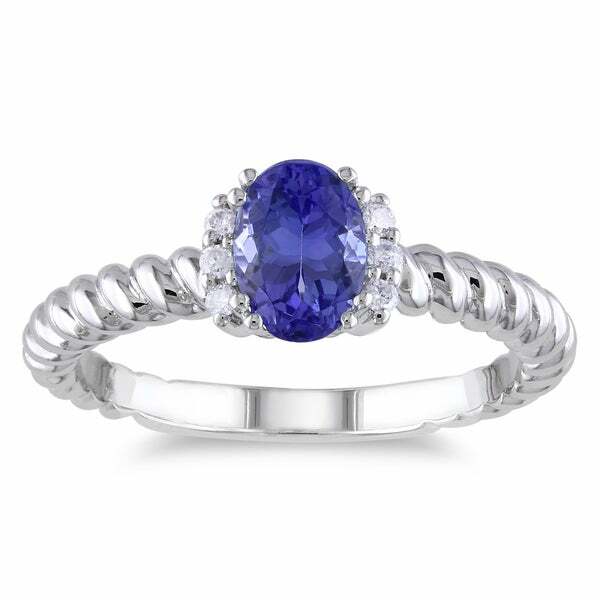 This beautiful ring is enhanced with a high polish finish.
. - Sofia B 7 7/8 CT TW Tanzanite and Diamond Ring in This attractive cocktail ring features a cushion-cut tanzanite center stone adorned with round white diamond side stones set in 14-karat white gold. 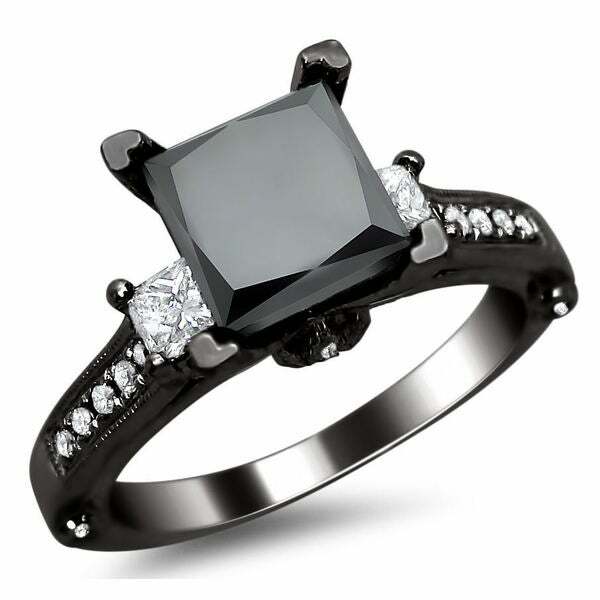 This exquisite one-of-a-kind ring is enhanced with a high polish finish.
. - 2 1/2 CT TW Diamond 14K White Gold 5-Stone Emerald Surprise your loved one with this ring it features a emerald-cut white diamond center stone with trillion and round white diamonds side stones crafted in 14-karat white gold. 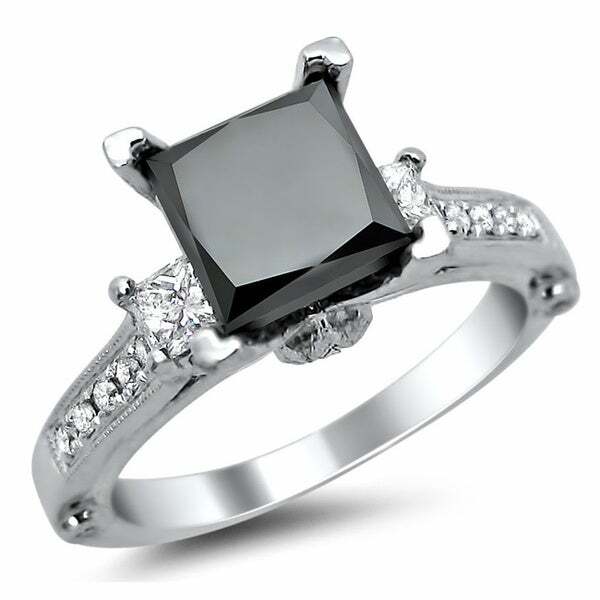 This beautiful ring enhanced with high polish finish.